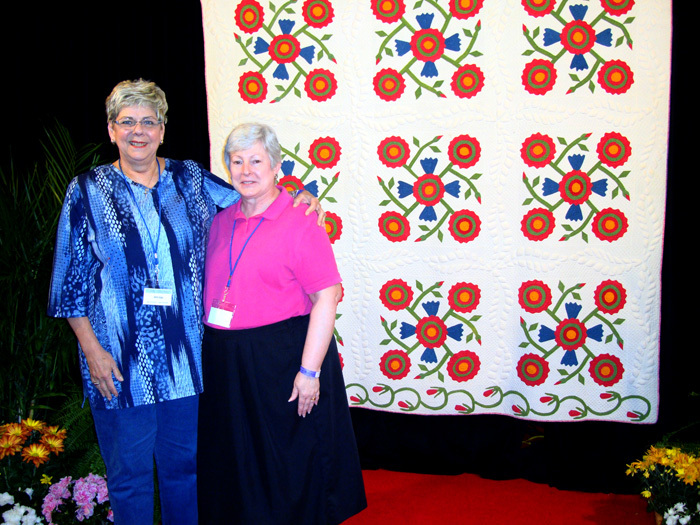 Jami Roux and I joined the bus trip out of Wylie’s Blue Ribbon Quilt Shoppe, led by Sally Ashbacher and Debbe Sheridan on November 1st to travel to the Houston Quilt Show. Also on the trip with us was member, Michelle Knoerzer. And, what a time we had! 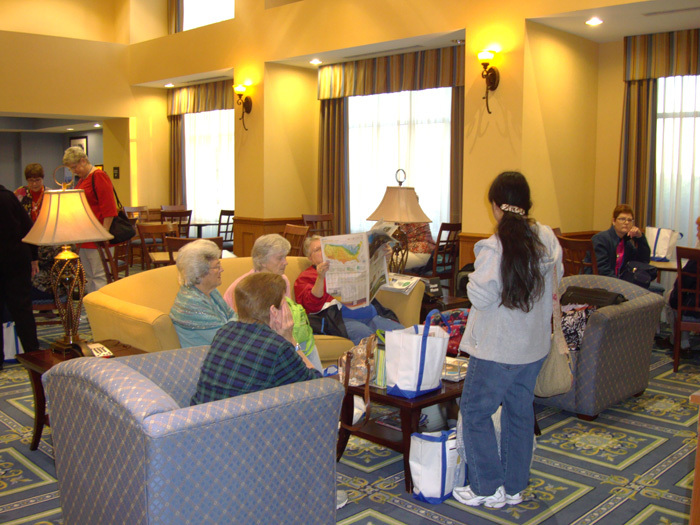 Interesting people, stunningly beautiful quilts and dolls and lots of shopping! Here’s a picture of Jan, who we will call “The YoYo Lady.” She had yo yo jackets, necklaces and a purse covered in yo yo’s! 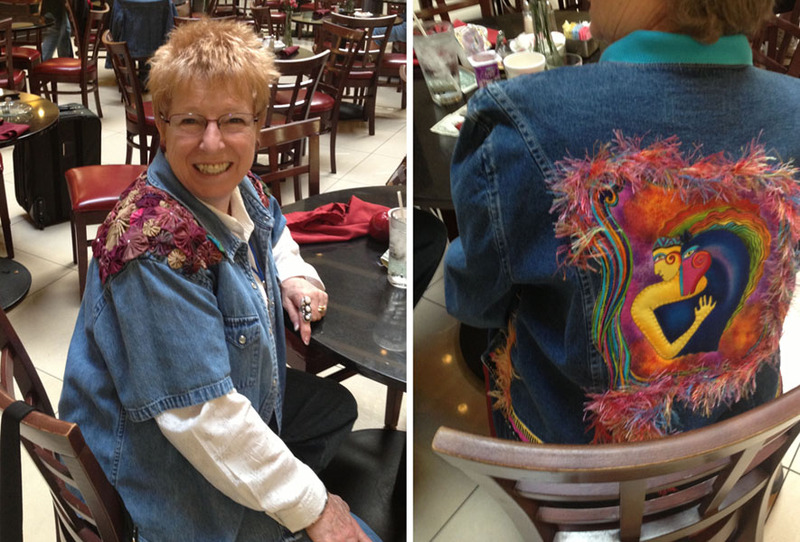 And for you fiber artists we have Linda Chappell’s lovely embellished jackets…. 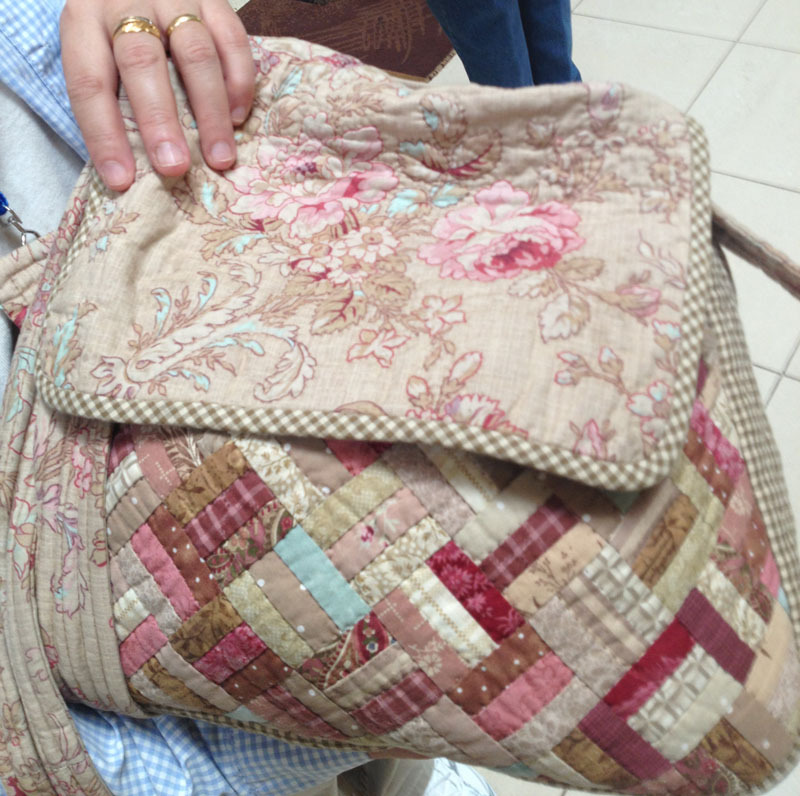 For those of you who enjoy making “bags” as much as we do, here is a love bag carried and created by one of the ladies on our bus. 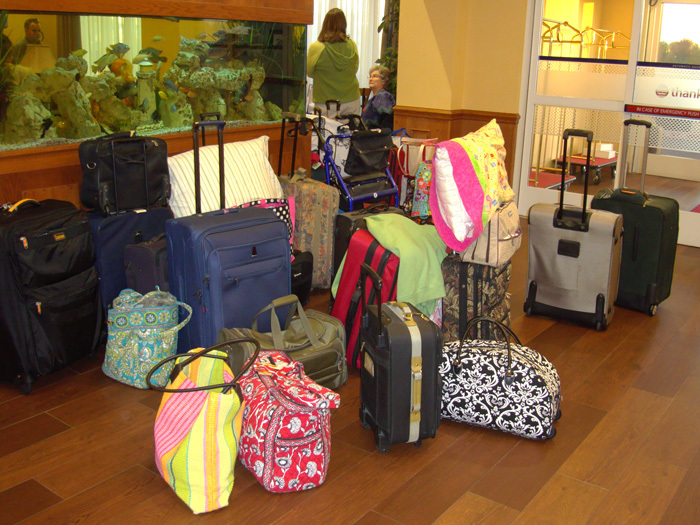 Regrettably, we were so busy shopping and looking, we did not take more pictures of the quilts. 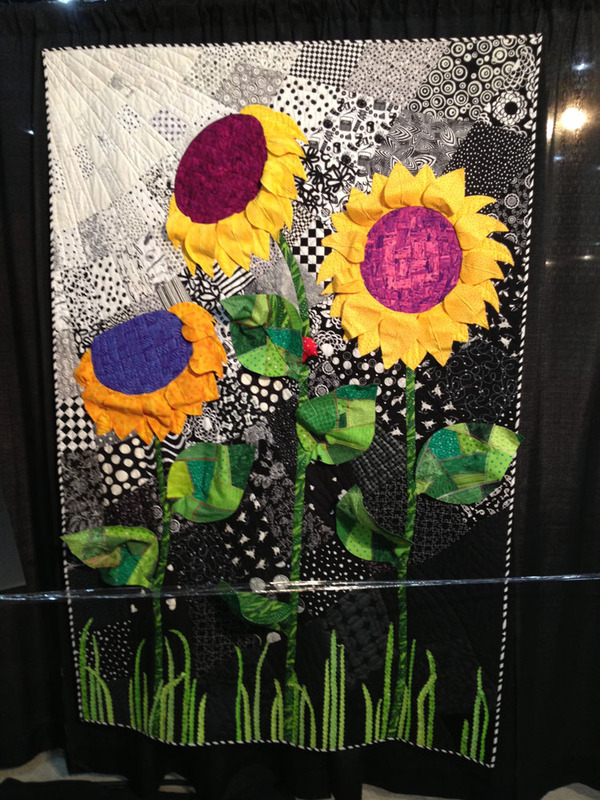 This one we saw toward the end of the show and it caught my eye because I love Sunflowers. It is dimensional and the colors are just “happy”. As a special treat, we happened upon doll maker and author, Ellen Lumpkin Brown. 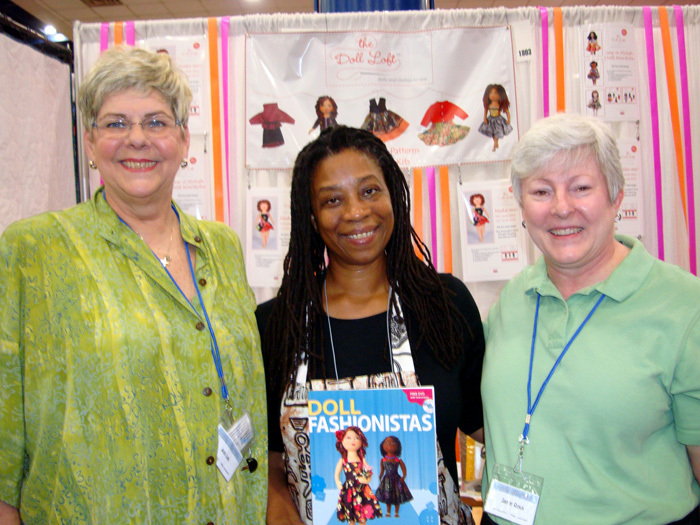 Her book “Doll Fashionistas ”, a book about sewing dolls and their wardrobes, is owned by many of us in The Doll’n Dames neighborhood group. Ellen was warm and gracious and we got to see some of her creations up close. She was very pleased when we told her about our ASG group of doll makers. For more information about Ellen Lumpkin Brown, visit www.TheDollLoft.com. 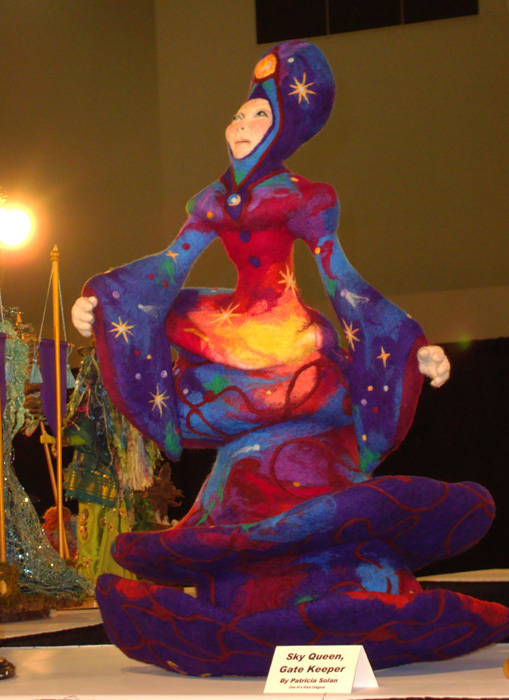 For the needle felters, check out this doll — She was stunning!